Go back 10 years I was one of those kids dancing away to house music until the wee hours of the morning, not a care in the world apart from letting the beat run throw my body! 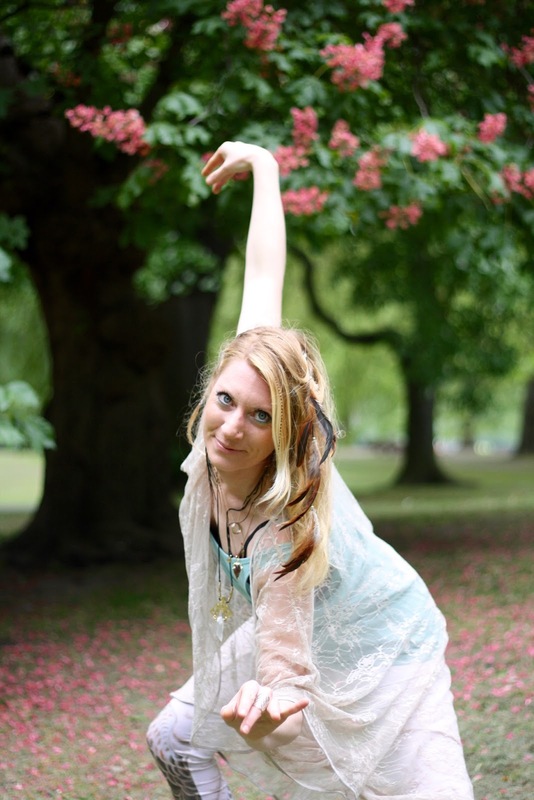 This was also the case for my latest stalk, Izzy, a Conscious dance facilitator at Battersea Yoga. Izzy Fairbairn has worked in Music and radio for many years producing for BBC Radio 1 and 1XTRA. 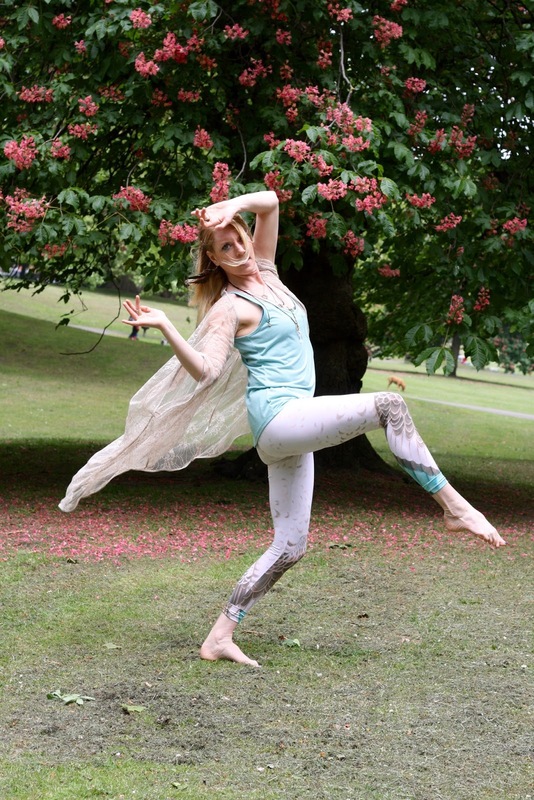 After discovering many spiritual practices and how conscious dance can truly alter and change people's lives she now runs conscious dance events at Battersea Yoga and elsewhere. She continues to work in TV and radio as well as teaching the next generation, music and production skills in Global Medias new academy. 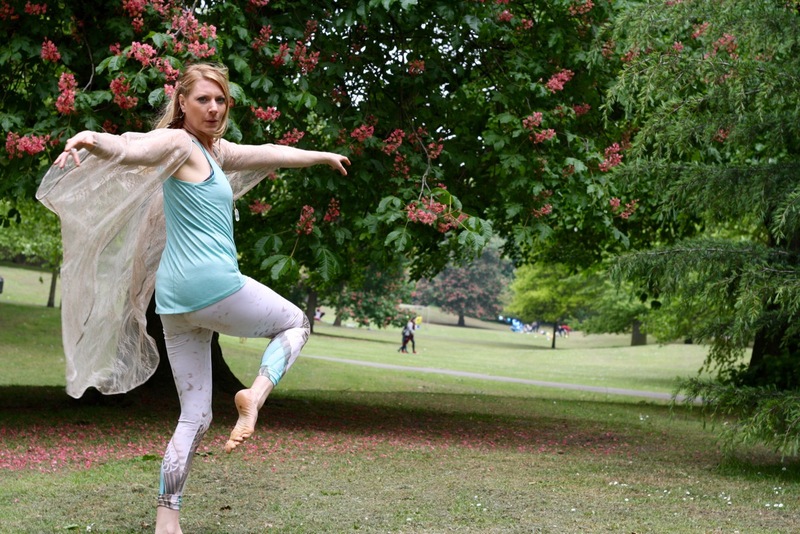 We caught up while walking through Battersea Park one Saturday morning, on how she got into it and about bringing this wonderful mindfulness dance practice to the wider world. How did you get into dance and when was the moment you decided to merge this with yoga and mindfulness? Clubs and free parties were my training ground. I’d hold a spot, usually by the speaker, and just dance for hours. As the energy of late night venues began losing their appeal, I stepped into a conscious dance space and immediately felt at ‘home’. All I wanted to do was to share the healing and transformation, the ecstasy and joy I had experienced on the dance floor with as many people as possible. The first humans used dance as a form of expression and release, a way of communing with the spirits and connecting with community. There’s a long and rich lineage, which I wanted to bring bang up to date. Disciplines emerging from Hinduism, Buddhism and Shamanism have enriched and assisted me throughout my life. I believe in sharing the learning and so fuse aspects of such practices with the dance. As a former Producer at BBC Radio 1 and 1Xtra, I bring a high level of DJ and production skills to the mix so the ancient wisdom is always delivered in a sonically satisfying and relevant way! To anyone who has not had the pleasure of attending one of your classes, what wonders can they expect? 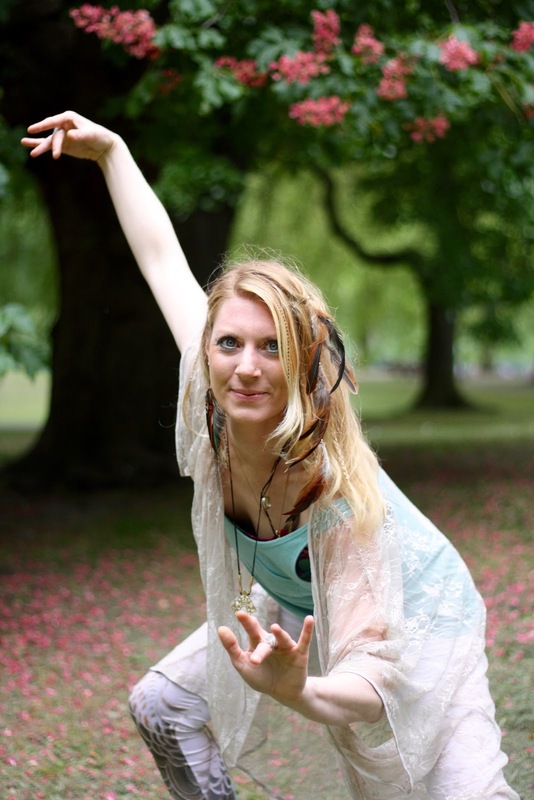 Each of the monthly Rise-in Movement events at Battersea Yoga will be unique. We’ll always dance a journey – beginning gently, rising in intensity, building to a point where we can really let go, and finally coming back down again to a place of stillness. 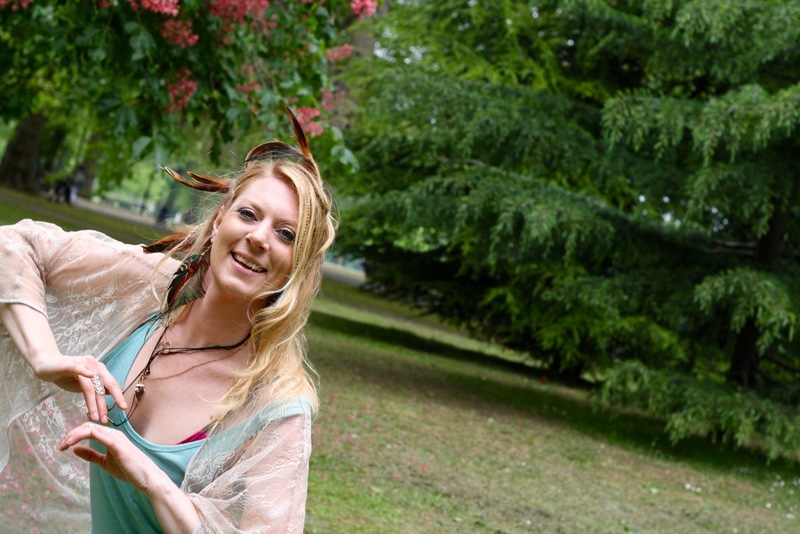 There will also be a range of sitting meditations, visualisations, sound healing, discussion and plant medicine. On 22nd July, we’ll do a few activities to get into various aspects of the dance. The great thing about this practice is that there is no right and there is no wrong, but there are certain maps, or guidelines, which can help us dive deeper. It’ll be a really good class for beginners, so if you’re interested in trying it out, I’d love to see you there. I’ve themed each session, and the music, movement and mindfulness exercises compliment accordingly. Last month, we started with a heart opening cacao ceremony. There was so much love in the room! For Autumn Equinox, we’ll be exploring our shadows – the parts of our personality that we’re currently unconscious of. Whatever the focus, expect expansion, euphoria, healing, personal transformation, tools for everyday life, connection with each other and a whole lot of fun. Playing beautiful and banging music. And being there when somebody steps into their power – when they become genuinely aware, awake and alive; when they dance from their heart instead of their mind; when they break down and build themselves up again; when they move from their truth and start to live free; when they let go of ego and social conditioning; when they accept themselves for who they truly are; when they feel, something, anything, and when they shift that emotion - that energy-in-motion, to create something new… When they consider that life is full of infinite possibilities, and that we are always connected, all of the time. And that by moving together, in our own imperfect-perfect way, we will become whatever it is that we want to be. Where are your favourite places to eat and relax in London? I cook a lot at home and love the markets, especially Borough, Herne Hill and Brixton. If I’m out and about, I’ll grab the best falafel wrap at a street stall on Lower Marsh, or take my time at Wild Food Café in Covent Garden. For fresh, seasonal produce with a down-to-earth family vibe, I like the Osteria Antica Bologna on Northcote Road. 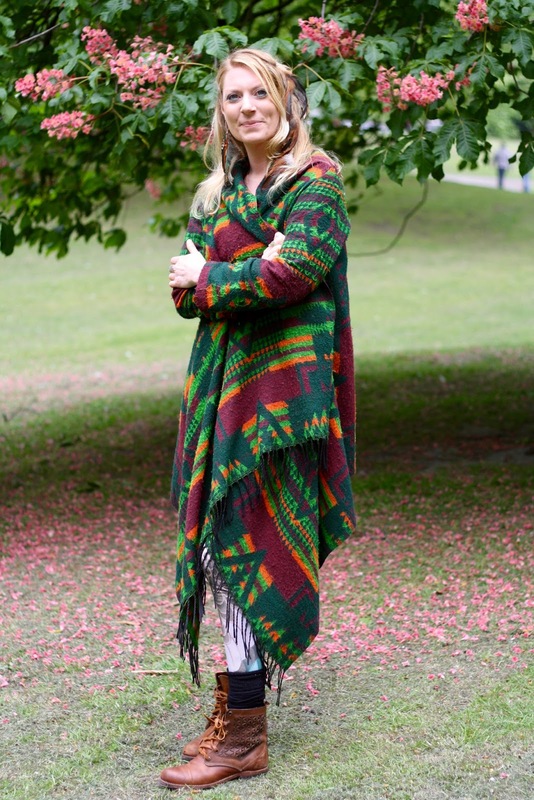 If I want to relax in the city, I head to one of the green, open spaces – Battersea Park, Richmond Park and Hampstead Heath being my favourites. We’re so blessed to be able to access nature within this concrete jungle. Music, a decent technical set-up, plants, water and love.